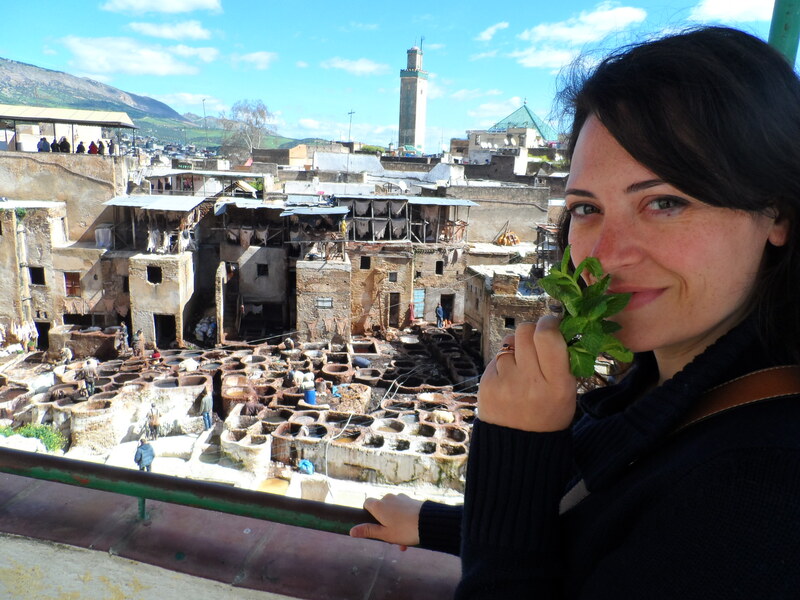 If you want to visit a city that has everything, go to Fez. The old city can be pretty overwhelming but it’s a fantastic place to take a seat at an outdoor cafe and people-watch. 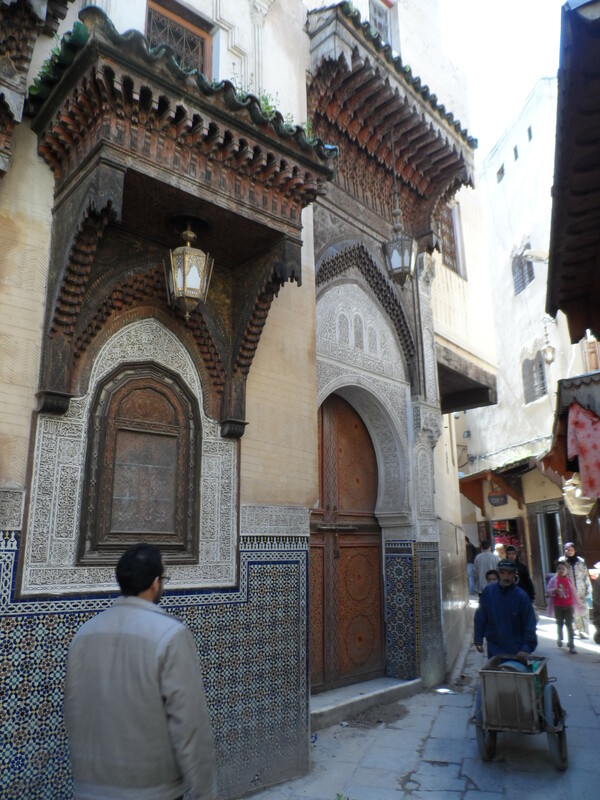 There are over 10,000 small shops in the medina, and they are all trying to get you inside, so it’s best to tour this city with a guide. The guide will keep store owners from pestering you and keep you from getting lost. After we walked for about two minutes I had no clue how to get back to our hotel. We had professor from the university give us a 6 hour tour for about $50 total. 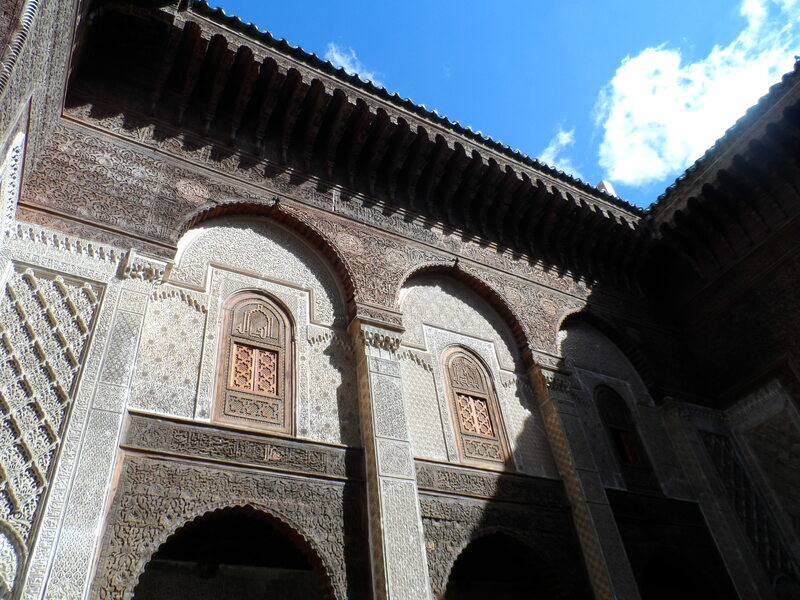 We never would have been able to find this stunning 700 year-old Madrasa (religious school) if we didn’t have a guide. The thing that I found most incredible about this building is that all the decorations are verses from the Koran. Could you imagine studying something for hours each day and then seeing it in the wallpaper of your house, and in the patterns on your carpets? Talk about full-immersion. Any building with a green roof is a religious place. 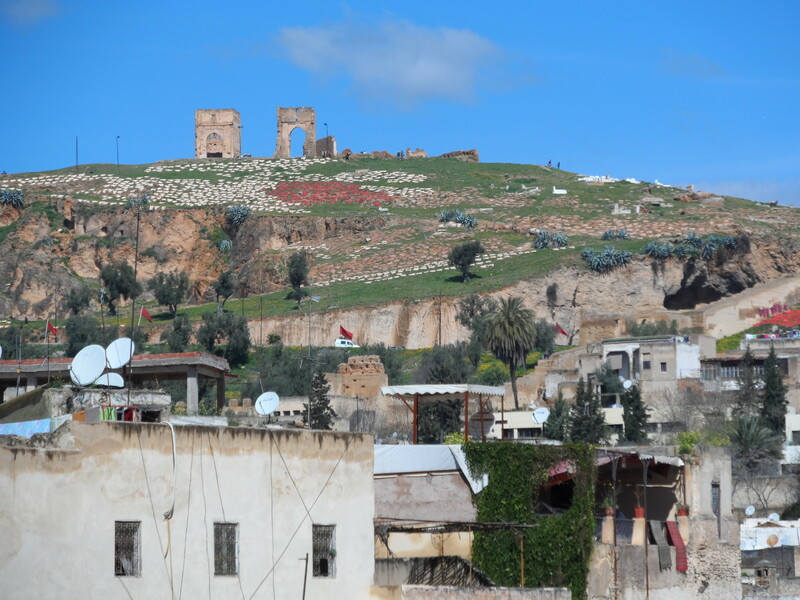 Fez is known as the green city because it’s the religious capital of the country. 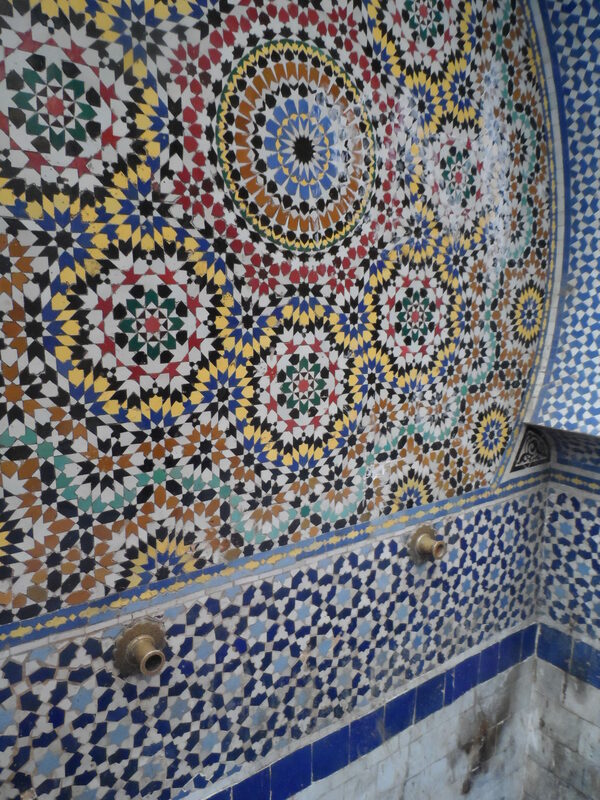 Fez is also known for its intricate tile mosaics. The Medina is constantly under repair because it’s so old. 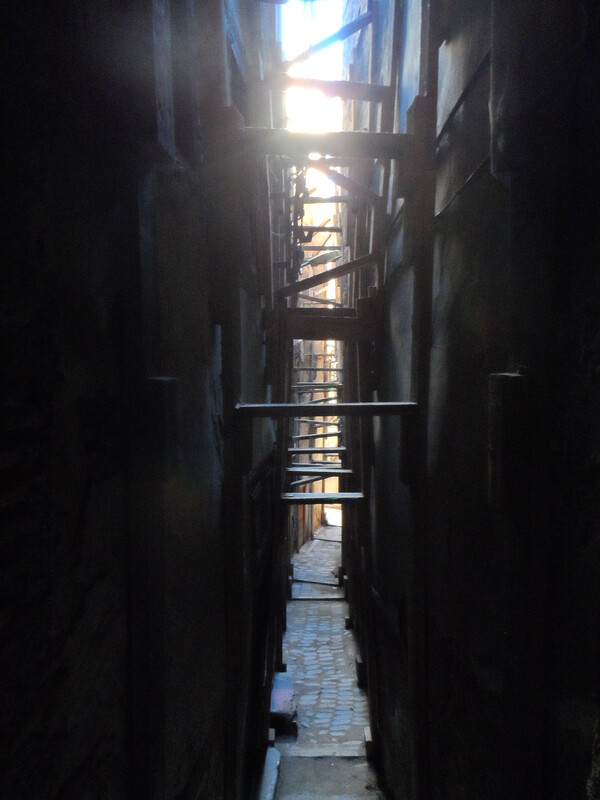 Half the ally ways look like this. 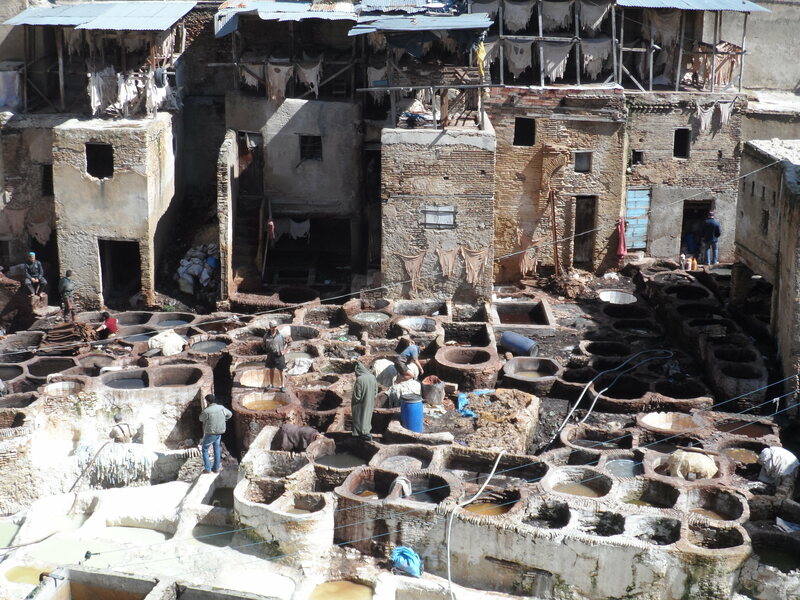 No trip to Fez is complete without a visit to the leather factory. They are still making leather the way they have for thousands of years. 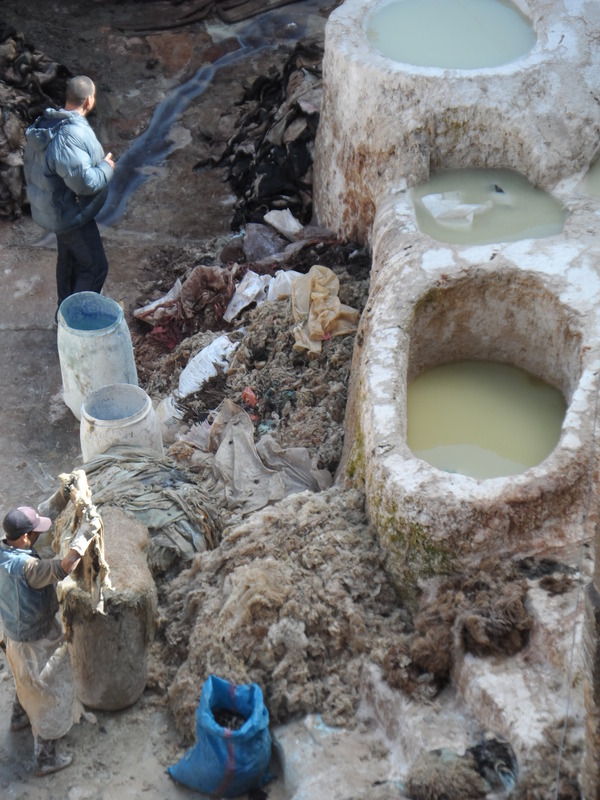 The men cover themselves in oil and jump right into the dyes with the leather. Since they use ingredients like pigeon poo, and donkey piss it smells pretty nasty. Full disclosure, this was the reason why I wanted to go to Morocco. They give everyone a sprig of mint to mask the order of rotting flesh and feces. 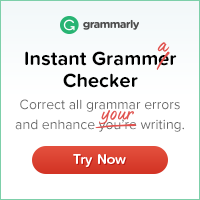 It’s surprisingly effective! The soggy fur on the ground will be used for mattress filler. The hillsides are covered with drying leather skins. That’s what those red and white patches are. My new leather coat from Fez! 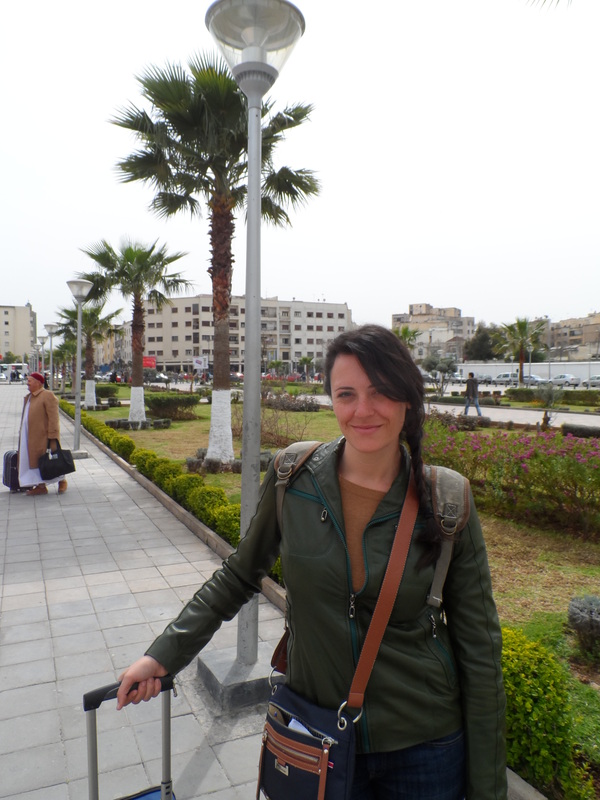 In the next post I’ll show you some pictures from our visit outside of the medina.